The new home of HSBC UK, a Jewellery Quarter factory conversion and a rare diseases centre are among the finalists in the 2019 RIBA West Midlands Awards. The annual ceremony recognises buildings across the region of exceptional architectural merit with winners taking the first step towards the coveted Stirling Prize later this year. A total of 15 finalists have been shortlisted in the West Midlands awards which are run by industry body the Royal Institute of British Architects. 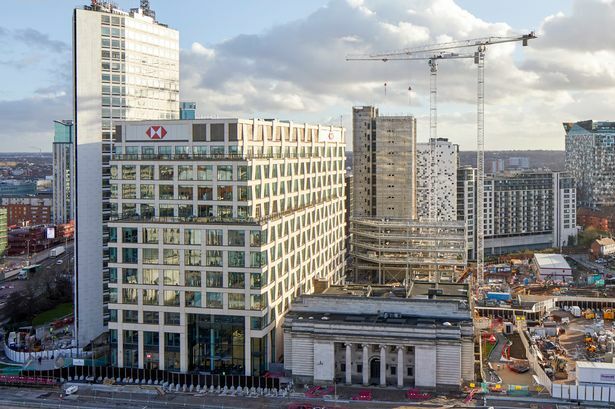 These include 1 Centenary Square, by Make Architects, which houses thousands of HSBC UK staff following its opening last year. Squirrel Works, in Regent Place, was once used as a silver goods factory but has been converted by Warwickshire-based Sjolander da Cruz Architects into five apartments. Waterfall House, by BDP, is home to the UK&apos;s first rare diseases centre for children and a combined inpatient and outpatient oncology and haematology centre on the Birmingham Children&apos;s Hospital campus in the city centre. RIBA West Midlands director Deborah Walsh said: "I am delighted these 15 buildings have been shortlisted for our 2019 awards and I congratulate the architects, clients and contractors who worked to produce such remarkable schemes. "This incredible variety of projects are a testament to the imagination, talent, innovation and ingenuity not just of the architects but all those involved. "They demonstrate the vision of the West Midlands to respond to today&apos;s challenges and design for the future, whilst where appropriate, respecting the past." All shortlisted buildings will be assessed by a jury with the winning buildings announced at a ceremony at Royal Birmingham Conservatoire on May 17. RIBA Special Awards will also be announced on the night including for overall project architect of the year. All regional winners will be considered for a national award, to be announced in June, from which the shortlist for the RIBA Stirling Prize will be drawn.